If you’re based in Fulham, Chelsea, Kensington Or Hammersmith and you’re moving soon, you may be looking for a Reliable Removal Service to help you get this job done. 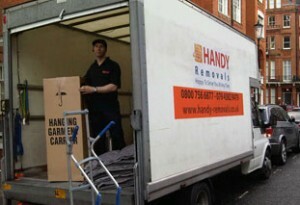 Handy Removals is the official man and van in Fulham Area. As we have one of our man based in this area, we can offer a quality service on a short notice. Our man and van has being described as hardworking, friendly, Reliable and Affordable. For more information on how to organize your House Removal or just a man and van within the Fulham & Chelsea area, Use our ONLINE QUOTE or Call us.